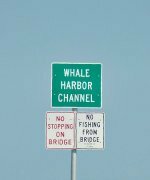 When in Key Largo diving you'll quickly discover that the Queen of Nassau is several things. Not only is she interesting to learn about, she's an equally interesting Florida Keys dive. 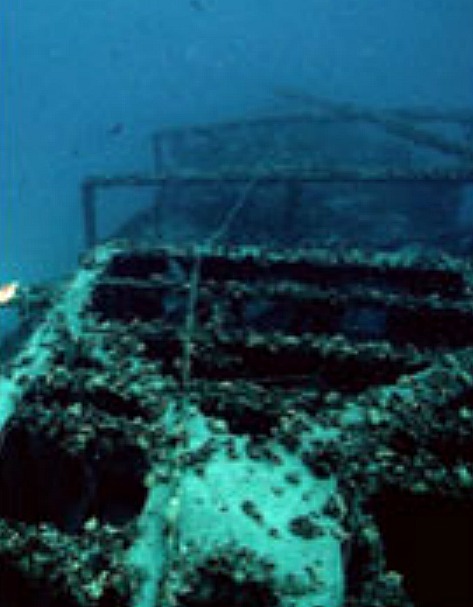 Despite her depth and the distance out to this wreck diving site, the demand to explore her watery depths is increasing. To accommodate this, Key Largo scuba dive shops are now making her more accessible to those who have the required technical scuba diving certification. You'll want to make sure you include this remarkable lady on one of your dive trips next time you're scuba diving Florida Keys. Built in England in 1904, this was a 200 foot long Canadian vessel with a 25 foot beam. Barely 37 years old, Canada did not have a large presence on the water. However she understood the importance of protecting her nation's rights. One right in particular was crucial - her fishing interests on the Georges and Grand Banks off her East Coast. Towards that end, Canada began to develop a small fleet of ships responsible for monitoring and protecting that territory. When the CGS Canada (Canadian Government Ship Canada) was purchased in 1904 by the Canadian Fisheries Protection Service (CFPS), she took on a new and important role for herself and her new nation. Powered by two large triple expansion engines, she could cruise at a top speed of 22 knots. Stationed out of Halifax, Nova Scotia, she was considered the fastest vessel in the CFPS. She became their flagship and was responsible for protecting Canada's fishing interests. The new nation took their rights seriously. To ward off Americans and Europeans who were continually invading their fishing grounds, the CGS Canada, under the command of Captain Knowlton, carried 4 high powered Maxim guns. Over and above monitoring these interests, she was also involved in the nation's fledgling Naval Militia. In 1905 the CGS Canada was sent to the West Indies with a number of fishermen who had been recruited for militia training. Canada was her own nation but she still operated under the heavy hand of the British. Even her own laws required final passing in British Parliament before they could go into affect in the young nation. Other than the legislative burdens placed upon her by England, she was also without her own naval protection, relying instead on the British Navy for security and support. In a step towards gaining more sovereignty, Canada petitioned Britain, and in 1910 she was awarded the ability to establish her own naval branch. The wish had been granted, but the work had yet to be done. The Royal Canadian Navy (RCN) was a completely new entity without any foundation. With experience and equipment in place, the Fisheries Protection Service and the CGS Canada came into play. Not only did they provide training, the Service's flagship became part of the training mechanism for the newly formed Royal Canadian Navy. When World War I began, the Royal Canadian Navy had formed barely 4 years earlier. The country had not had enough opportunity to amass a sizable fleet, and they were in desperate need of as many vessels as possible. To provide needed power, the CGS Canada was commissioned into the Royal Canadian Navy on January 25, 1915, and christened HMCS Canada. In her new warfare capacity, it was essential she be refitted with heavier armament. She received two 12-pounders and two 3-pounders and her duties included surveying for mines as well as protecting troop convoys headed to England. In 1919, when the war was over, she was returned to the Canadian Fisheries Protection Service. Back in Halifax, she resumed her duties of patrolling and protecting the fishing grounds off Canada's East Coast. In 1920, the CFPS opted to sell their one time flagship, and so she was docked in port awaiting a buyer. Time crawled by, and it wasn't until 1924 when an interested party decided to purchase her. Barron Collier was a land developer in southwest Florida, including the Naples and Ft Myers area. Collier County, where Naples resides, is named in honor of this man who worked to create an interest in this beautiful part of Florida. Mr. Collier's intention was to turn his new purchase, The Queen of Nassau, into a passenger vessel providing service from Miami to Nassau, Bahamas. However this ship had originally been built as a man-of-war, and as such she lacked the fundamental niceties required for a luxury, full service passenger ship. Even though she'd been built to be sleek and fast, she did not have what it took to keep passengers buying tickets for the Bahamas. Her fate was sealed, and she eventually ended up docked at Biscayne Bay for 18 months with one lonely caretaker to watch over her. Realizing his investment was not paying off, Mr. Collier was eventually able to sell The Queen of Nassau to a buyer from Mexico. It was while en route from Miami to Tampa, where the exchange was to take place, that disaster struck. The Queen of Nassau was now an old ship. She had also been left to sit in dock for long periods of time without maintenance. She was rusty, and her working parts needed major repair and maintenance. As she struggled out of port the evening of Wednesday, June 30th, it was obvious she was in trouble. Her steam engines were unable to produce enough pressure to keep her moving along at a good speed. Captain Peter Songdahl decided to anchor her south of Miami to service her boilers. The next morning she continued south, but was not picking up speed. By the time Captain Songdahl had reached Alligator Reef it was already July 2nd. He realized that more work had to be done if they were ever going to make it to Tampa. While the crew worked on her from 3:00 p.m. to 4:00 p.m. reports of water seeping into her bilge came in. The crew began to pump out the water, but the boilers were unable to keep the steam pressure up enough to work her pumps. By 5:45 it was becoming obvious that the ship was taking on more water than they could remove, and the demand on the boilers proved to be too much. With the pumps no longer functioning, the ship was taking on water faster. There was no recourse left. The Captain had one chance to move his vessel to deeper water so she wouldn't prove a shipping hazard when she went under. With the boilers barely producing steam, the Captain turned the ship out to deeper water, but the boilers quickly failed. Realizing the inevitable was about to happen, at 7:00 p.m. the Captain ordered his 18 crew members onto a lifeboat. Moving away from the Queen of Nassau, they watched her settle back on her stern. Then as she stood straight up in the air, her boilers exploded. It had only taken 8 minutes for her to sink beneath the water to her 225 deep watery grave. In 2001, a group of recreational divers encountered the Queen of Nassau for the first time. Since the ship was located within the Florida Keys National Marine Sanctuary waters, they reported their discovery to the appropriate authorities. Due to her location, the Queen of Nassau became part of an archaeological study. The study involves a number of entities including NOAA's Maritime Heritage Program and several Universities. The Queen of Nassau is one of the least dived wrecks, yet she's also one of the more interesting Florida Keys dive sites. At her depth, she's considered a technical dive. Anyone Key Largo diving who plans on visiting her needs to take the necessary time to properly prepare. You also need to remember that because of her depth, the water is going to be quite cold. Wearing a dry suit, heavier gloves, and a hood will make your dive more comfortable and keep you safer. Reports from those who are qualified enough to take on the challenge of her depths, repeatedly comment that she is an amazing wreck to visit. With the exception of her collapsed mast, and some damage to her stern and running gear, she's relatively intact. Her wood decks have eroded, and so any artifacts that had been located in these areas have dropped further below. Unfortunately, much of her lower areas have developed a heavy layer of fine sediment and so accessing these sections are difficult to impossible. The sediment also has a tendency to lift as you fin around, so exercise caution as it can cloud your visibility. Sediment deposits are also obvious on the upper decks, but artifacts, such as china can be found here. 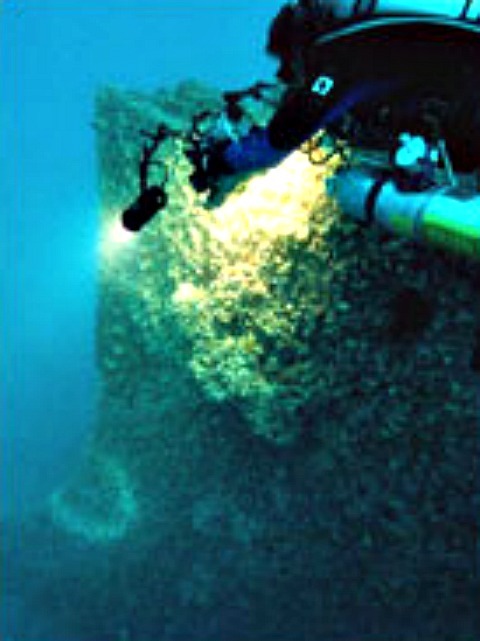 The debris field that surrounds the wreck includes a variety of items that would have slid off the ship when she reached a full vertical position before slipping under the water. The ship has also become a good example of an artificial reef with oysters, sponges and coral covering much of her structure. Since she's located at considerable depth, she's also home to a greater variety of marine life than you'd find at the shallower Florida Keys diving sites. Here you'll encounter the larger fish, and this site in particular is home to large snapper, grouper, amberjack, and shark. Since the Queen of Nassau is positioned at 230 feet depth and is located about one hour from shore, she's typically treated as a full day dive. Wind and current conditions also affect the quality of a dive on this wreck. If the current is strong, the sediment can kick up substantially which will reduce your visibility. The view of this ship from above as you descend is remarkable. However, on your ascent you'll have a good 10 minutes of staggered decompression time to look back down and consider what you'll do on your next Key Largo scuba diving trip to this remarkable wreck. The Queen of Nassau is one of those ships, like the USCG Duane or the Bibb, that has a history worth learning about. Not only is her past worthy of further understanding, so is planning a diving trip out to her. The Queen of Nassau is without question one of the best technical Florida Keys diving sites you can visit.